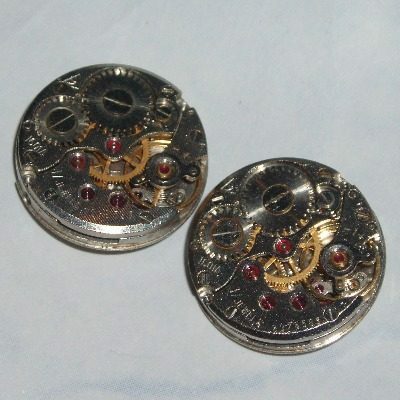 Pair of Steampunk Watch Movement Cufflinks. Made with a pair of recycled 16mm round vintage Ladies Watch Movements similar to those shown in the photo. Please allow 5 working days for dispatch as each pair of cufflinks are handmade to order.